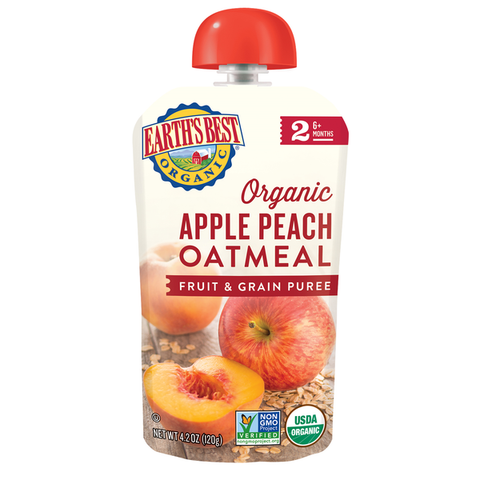 Earth's Best Organic® Apple Peach Oatmeal Fruit & Grain Puree is perfect for babies 6 months and older. Made with whole grains this comforting oatmeal is packed with flavor. Earth's Best Organic® Butternut Squash Pear Baby Food Puree Pouches are designed for convenience on-the-go, our puree pouches are squeezable and resealable so you can feel good about nourishing your baby. Organic Pear, Organic Butternut Squash Puree, Water, Citric Acid.